Splashback – Save Leith Waterworld: Freeeeeeeeee Leith Waterworld! The last weekend of Leith Waterowrld before the Council/Edinburgh Leisure locks the doors on Sunday 8 January. The Councillors voted against the motion put forward by Cllr Alison Johnstone on 22 December to give Leith Waterworld a stay of execution, at least until the Commie was "open to the public" (as promised by SNP Cllr Cardownie in 2007, and agreed by full Council) and to give them time to undertake and scrutinize the impact closure would have of various user groups. 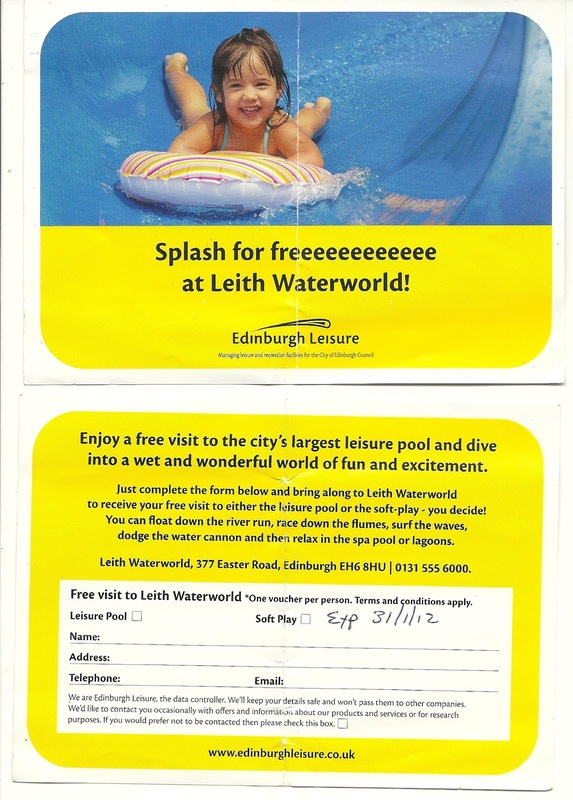 Just because the Cllrs have given up on Leith Waterworld, it doesn't mean we have. Splashback! will continue to oppose closure, and highlight the lack of due process within the Council's decision making. The closing date for the sale has been set for February 8th. We will be making an formal complaint to the Council, regarding behaviour in the Chamber on 22 Dec which we believe contravenes the Councillor's Code of Conduct. We have submitted requests to the Council for the full operating costs of Leith Waterworld under the Freedom of Information Act. Edinburgh Leisure refused to release these to us. We will continue to collect signatures, and hand our petition into the Council shortly. We will contnue to man the SUB outside Leith Waterworld this weekend during opening hours - please do drop by and see us! We'll be going for a swim tomorrow!